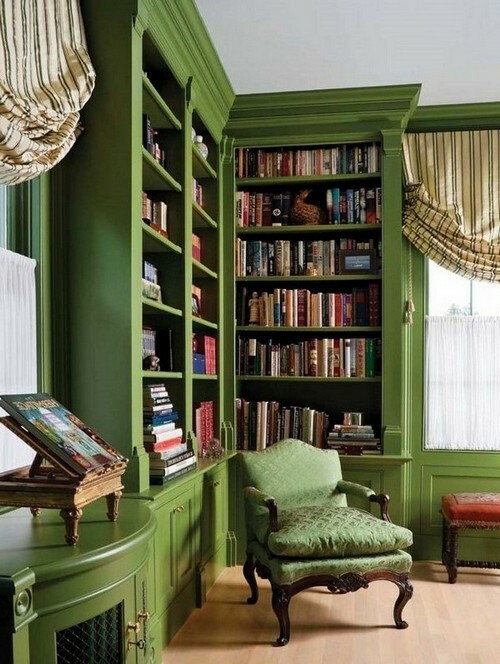 How pleasing it is to relax in a cozy arm-chair after a long hard day with your favorite hardcover novel. There is something romantic and aesthetical about it, especially in our era of computer technologies. 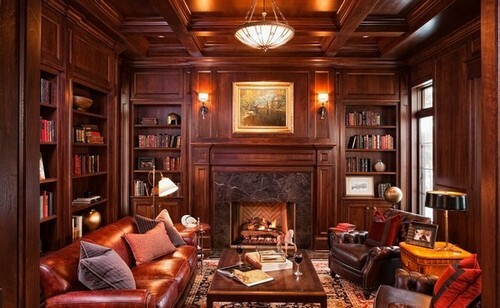 Just imagine – the cracking fireplace, soft low lights, silky voice of turning pages… There is just one thing missing in this idyllic image – a nice home library. Creating it doesn’t take much time and effort and we have collected a few tips from a professional designer to help you. 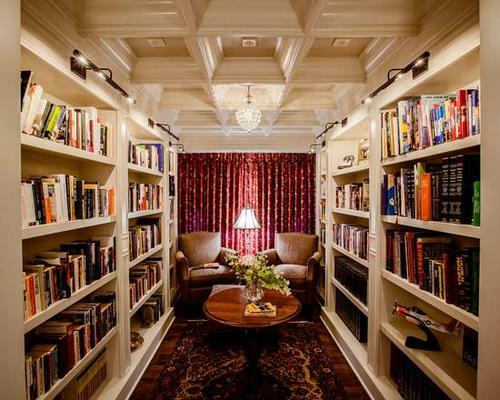 Taking that a home library is a very eye-catchy element of the interior, especially for the guests of your house, a place for it should be selected very carefully. This can be an isolated room, or just a zone, a wall or a nook in almost any room of the house – work room, living room, dining room and even a hallway. 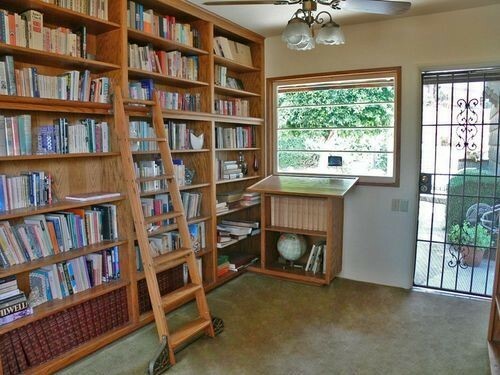 Some tinkerers arrange their libraries under staircases or on mezzanine floors, others use book shelves instead of interior walls for dividing the space. 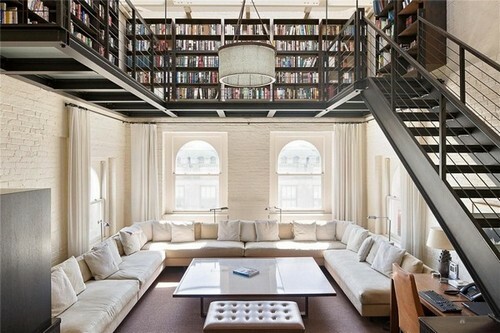 The library must be first of comfortable and light, offering a feel of privacy and rest. 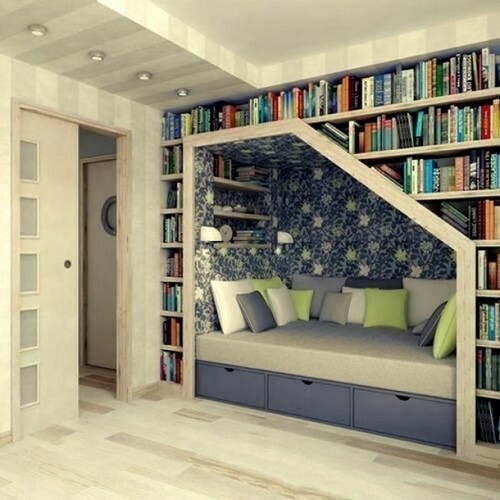 If you lack space for a full-fledged library zone, try to make the most of your room. Install modular furniture or try to escape the conventional arrangement of bookshelves along the walls – utilize the space around your door apertures and in ceiling cabinets, for example. 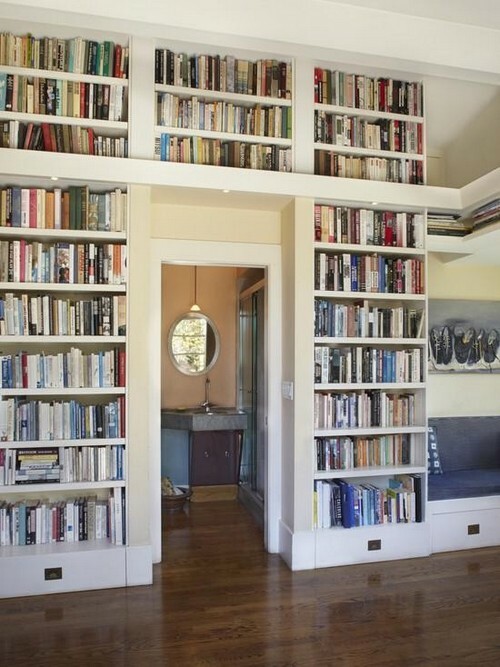 And if you’re a lucky owner of an empty wall, make the home library tall, floor-to-ceiling – this is not just ergonomical, but also very reputably looking. 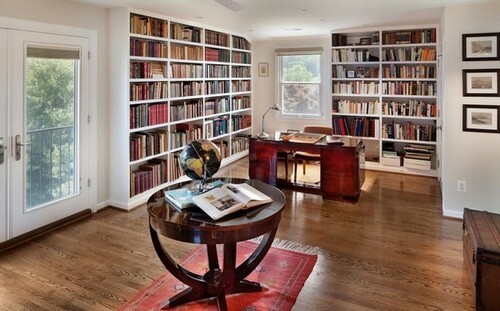 Should you have minimum of space, try to design a library in a nook – put there a bookcase or a few book shelves. It will definitely become your favorite spot in the house, especially if coupled with a soft cozy arm-chair and a beautiful floor lamp. If the ceiling height is considerable enough, use a special ladder designed in the same style with the shelves, like in old good times. 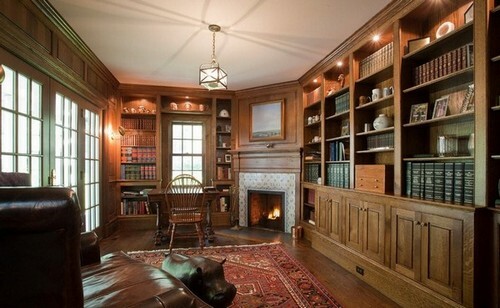 In a living room or in a fireplace hall a wall-to-wall home library would be especially to the point. Even if the room is filled with other important interior elements, like sitting furniture, unusual windows and elegant doors, the library would anyway be the centerpiece. And if the wall is exterior, reads will ensure additional insulation. Besides a proper placement, the library needs the order. 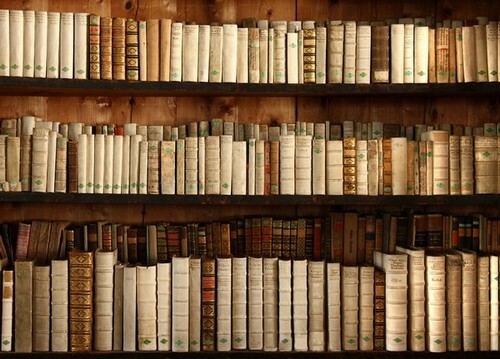 Here it’s a matter of individual choice: you may arrange the books depending on the color of binding edges or the sizes, or you may organize them according to genres, authors, publishing houses, countries of origin and etc. And if you don’t mind cleaning dust frequently, fill the empty spaces with accessories, photos and figurines. What is more important for the library is the lighting. Firstly, take care about your reading spot – buy a good floor lamp, for example. Secondly, the names of the books must be clearly visible even in the evening time. 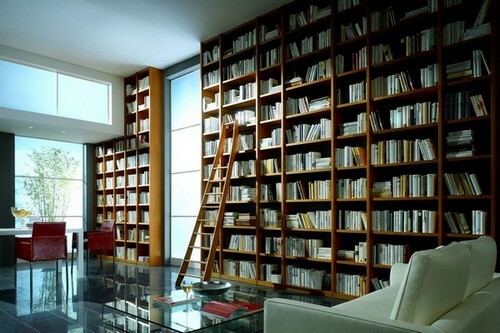 So, your library wouldn’t mind a few spot lights or rotating lamps. Thirdly, remember that the style of lighting fixtures must not be different from the overall interior concept. Once you have chosen the lights, think about the color scheme. 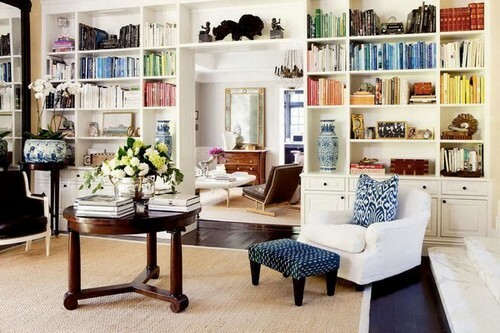 First of all, remember the golden rule of the interior design – no more than 3 dominating colors. 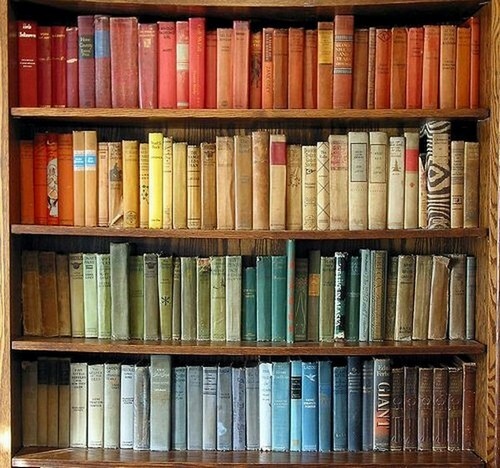 And to minimize the visual load of the shelves, paint them in the wall color – thus only the binding edges of your novels would be the focus of attention. 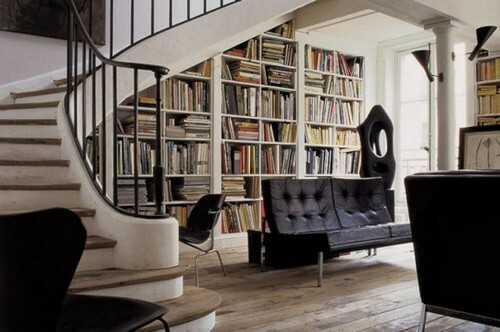 And if you library is quite modest in size, there’s no need to make it traditionally dark. On the contrary, it’s better to set the sights upon light colors to make the room visually bigger.